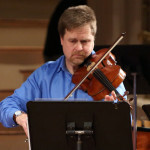 Mark Berger, resident composer/violist– has performed with many of Boston’s finest ensembles, including the Boston Symphony Orchestra, Boston Pops Esplanade, Emmanuel Music, Boston Modern Orchestra Project, Opera Boston, and Boston Lyric Opera. An avid chamber musician with a particular interest in performing new music, he is a member of the Lydian String Quartet, Music at Eden’s Edge and has a duo partnership “The Two Composers” with pianist/composer Ketty Nez. 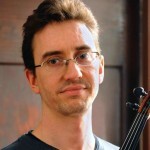 Mark has recently performed with the Radius Ensemble, Boston Musica Viva and Ludovico Ensemble. 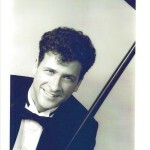 Mark also maintains an active career as a composer, having received awards from the League of Composers/ISCM and ASCAP. The New York New Music Ensemble, Dinosaur Annex, ALEA III, the Worcester Chamber Music Society, Xanthos Ensemble, Music at Eden’s Edge, QX String Quartet, and the Lydian String Quartet have presented his works locally. He is currently on the music faculty at Brandeis University, Boston College, UMass Lowell and Middlesex Community College. Krista Buckland Reisner, violin – “Things done right..”(Boston Globe), “…Excellent left hand..”(Toronto Star), and “…lovely tonal bloom…”(LeDROIT), describe performances of violinist Krista Buckland Reisner. Over the past 25 years, she has performed with well-known and diverse musicians from Leonard Bernstein to John Williams, Anton Kuerti, Placido Domingo, Brian Wilson, Smokey Robinson, and Diana Krall. Krista has performed across North America, Europe, Russian and New Zealand, including performances at Carnegie Hall, La Scala, and the Boston Esplanade on July 4th with the Boston Pops. Passionate about opera, Krista served as Principal Second Violin of the Canadian Opera Company Orchestra, Concertmaster of Opera Boston, performed Wagner’s “Ring Cycle” with the Arizona Opera and played in the Santa Fe Opera Orchestra. An early music aficionado, Krista performed with Canada’s Aradia, Boston Baroque, and is currently a tenured member of the Handel and Haydn Society. Krista’s love of chamber music led her to join WCMS nine years ago, after playing in the QX string quartet for many years prior with fellow WCMSers Peter Sulski and Rohan Gregory. Her commitment to bringing this art form to the Worcester community also included taking on administrative roles within WCMS as the organization grew. These included acting as General Manager and managing the Summer Festival and Music Camp for six years. She is thrilled to have passed the camp torch onto colleague Ariana Falk, who now holds this post. The cellist Joshua Gordon has won acclaim from audiences, critics, colleagues, and composers for his dramatic music-making and rich tone. 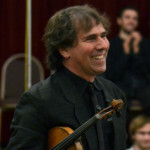 An experienced soloist, chamber musician, recording artist, and educator who joined the Lydian String Quartet and the music faculty of Brandeis University in 2002, he is also an artist member of the Worcester Chamber Music Society and resident cellist at the annual Wellesley Composers Conference. He is equally at home whether performing on stage in famous concert halls around the world, in an Australian limestone arch cave, or with dancers on a Boston housing project basketball court. 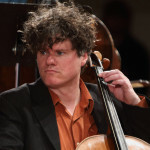 He was a member of the New York Chamber Soloists, the Group For Contemporary Music, and the New Millennium Ensemble, and has been a guest of many ensembles including the Apple Hill, Cassatt, DaPonte, Juilliard, and Ying Quartets, Boston Baroque, Boston Chamber Music Society, Chameleon Arts Ensemble, Emmanuel Music, Fromm Players at Harvard University, North Country Chamber Players, Orpheus Chamber Orchestra, Portland Chamber Music Festival, Rockport Chamber Music Festival, and Speculum Musicae. 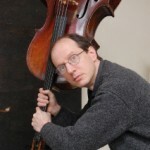 Joshua Gordon’s duo with pianist Randall Hodgkinson has been described as “insightful and impassioned” by The New Yorker, and their New World recording Leo Ornstein: Complete Works For Cello and Piano was named one of the top 10 classical recordings of 2007 by the All Music Guide. As a Lydian, Gordon can be heard on critically acclaimed recordings of quartets by Martin Boykan, Mohammed Fairouz, John Harbison, Vincent Persichetti, and their newest set on Centaur of Beethoven’s late quartets released in 2012. He is also featured playing music ranging from Roger Sessions and Charles Wuorinen to Morton Feldman and Gerry Hemingway on recordings from Albany Records, CRI, Cala, Koch International Classics, Naxos, and Tzadik. His website can be found at joshuagordoncello.com. 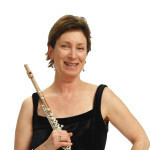 Tracy Kraus, Executive Director/flute – “Supple and riveting…. elegant and adroit playing…dazzling” (Worcester Telegram) eloquently describe the playing of Tracy Kraus. As a soloist, she has performed throughout Europe and the United States. Her love of the Northern California coast led her to her current orchestral tenure with the Mendocino Music Festival. In 1982 Ms Kraus founded the Abbot Chamber Players and quickly discovered her passion for the genre as well as for organization. Ms. Kraus is a co-founder and Executive Director of the Worcester Chamber Music Society and has led the group through a significant stage of growth and success. Tracy is a graduate of Clark University and the Boston Conservatory. She has participated in master classes in London, Paris, Nice and studied at the Aspen and Tanglewood Festivals. Her teachers include Louis Moyse, Trevor Wye, Leone Buyse and Geoffrey Gilbert. She is currently on the faculty of Clark University and the College of the Holy Cross.